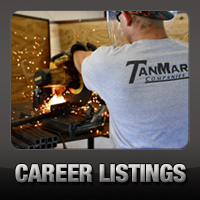 Rentals: Power Supply - TanMar Companies, LLC. 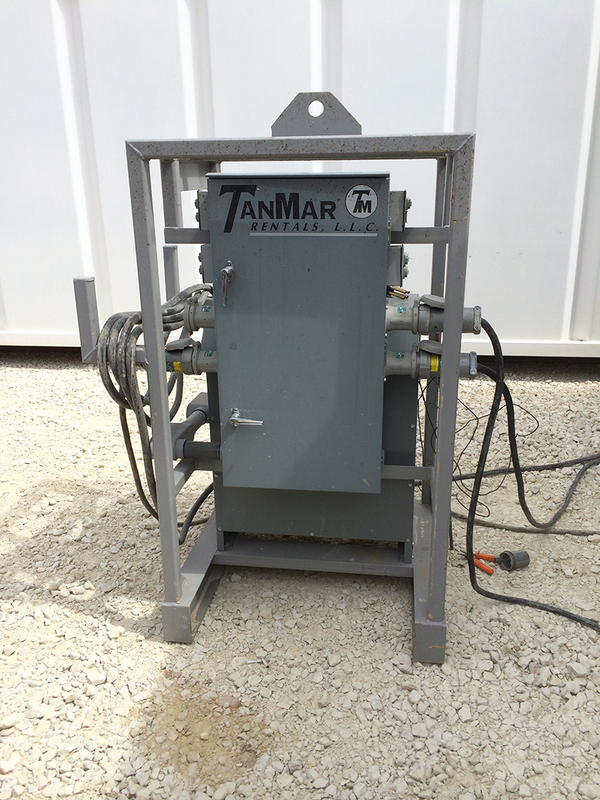 TanMar has a large fleet of 70KW generators equipped standard with a 250 gallon internal fuel tank. 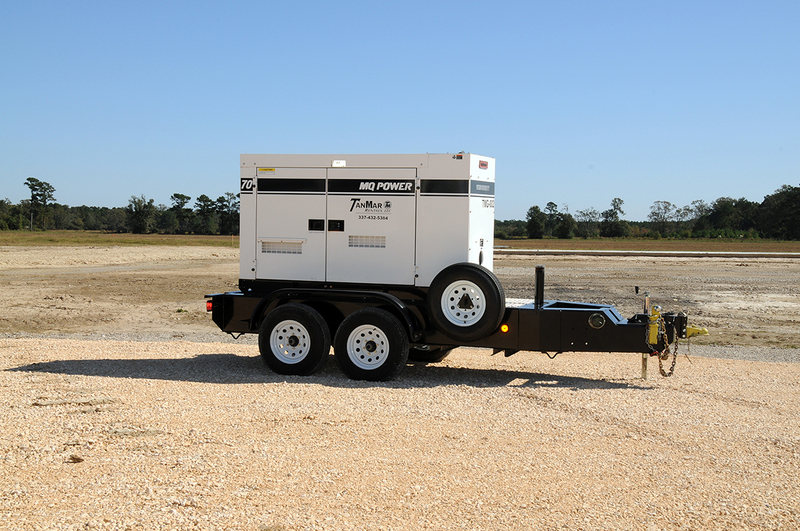 These quiet and reliable units are capable of providing power to multiple living quarters and office units on a work site at a single time. To ensure maximum operational efficiency, TanMar routinely provides onsite servicing of these generators by our qualified mechanics. 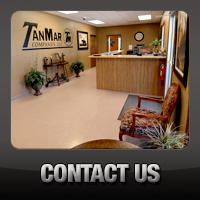 This includes oil changes, changing of fuel filters, and all preventative maintenance required to keep them as dependable and hassle free as possible. 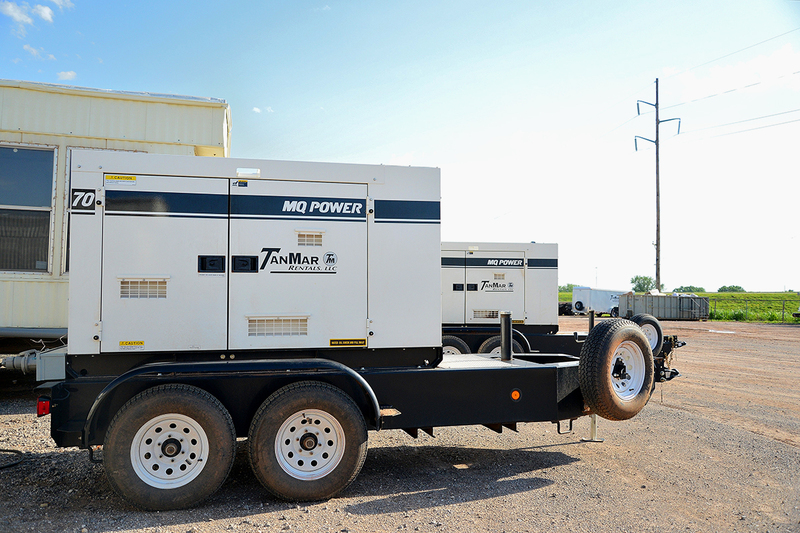 Constructed and designed in house by our experienced electricians, our transformers allow our customers the versatility to utilize the existing power supply and effectively distribute electricity to all living quarters and support equipment on location. 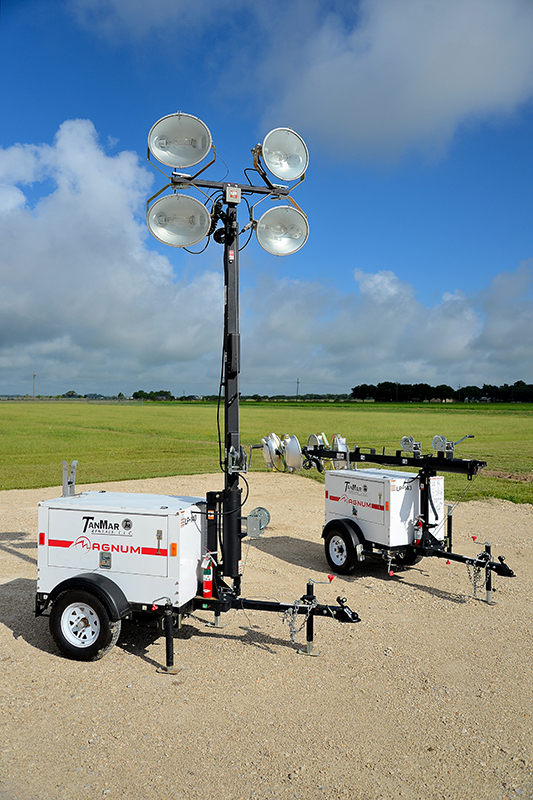 These extremely dependable and versatile light towers provide the perfect solution to supplying adequate lighting for safe, around the clock operations. 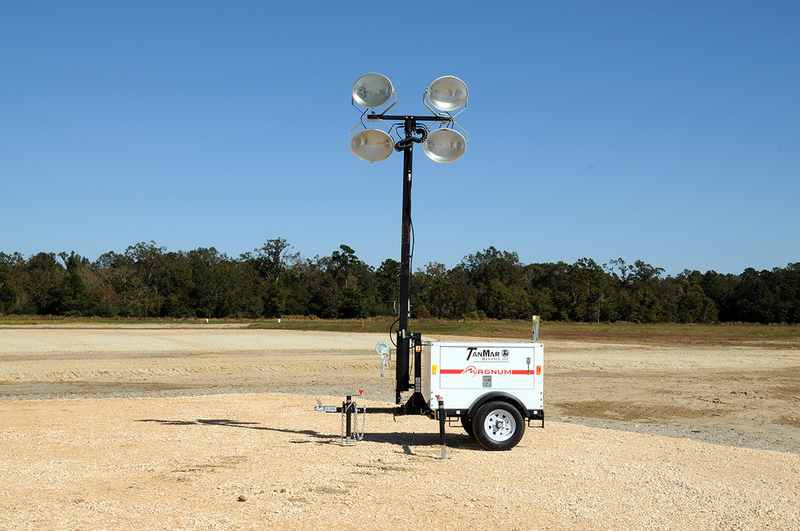 Our inventory of light towers comes standard with 4-1,000 watt bulbs and consists of both hand crank winches as well as the option of electric winch hoists. 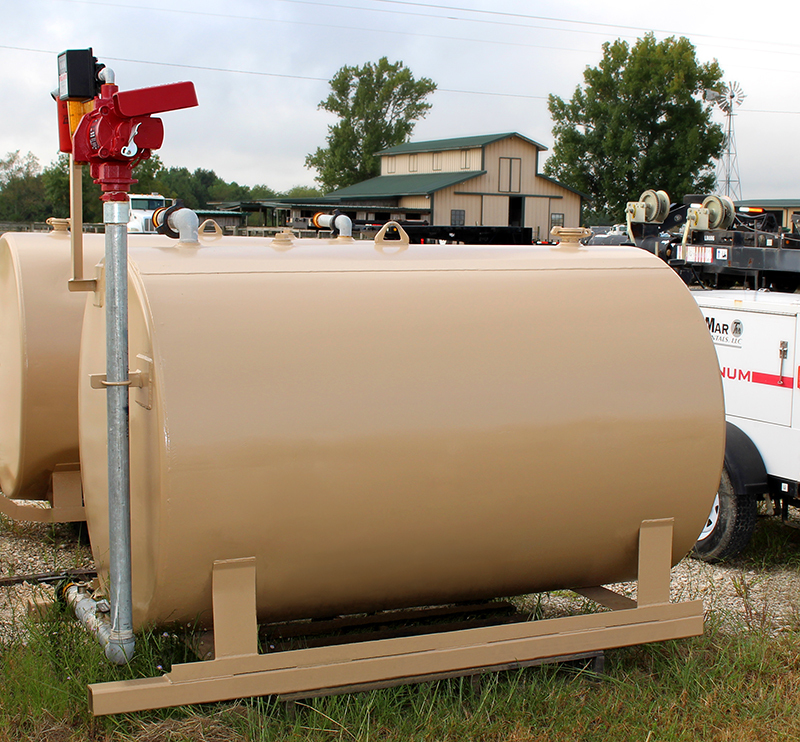 To reduce the frequency and overall cost of fuel hauling to location, TanMar provides 600 gallon external fuel tanks that come complete with full capacity containment to ensure that any potential for a fuel spill is eliminated.